Only a Registered Medical Practitioner can remove eyes from a deceased. Contact the nearest eye bank as quickly as possible. Whosoever saves the life of one person it would be as if he saved the life of all humankind. Behead yourself! Dissolve your whole body into vision: become seeing, seeing, seeing. Let Eye Donation be your family tradition. Give an eye! don’t be shy! Eye Donation - a gift of beauty, a return for Eternity. Seeing is believing, please donate! One Eye Donation can make two blind people see. Let’s make Eye Donation a family tradition. Don’t just leave a will, leave a vision. Eye donation makes a difference. Just Watch. Be a part of the breakthrough and make someone’s dream come true. 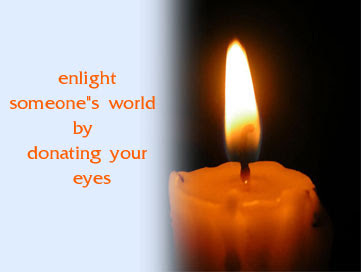 Spreading `light' in world of darkness Donate eyes and gift sight. 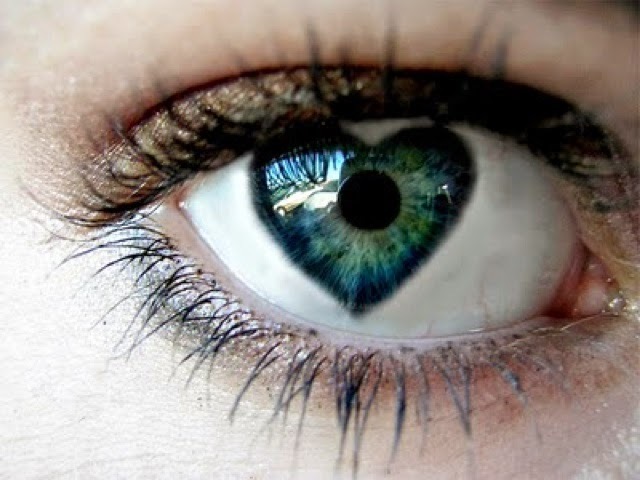 DUMP YOUR " I " BUT DONT DUMP YOUR "EYE" DONATE IT. Eye Donation makes your eyes immortal. 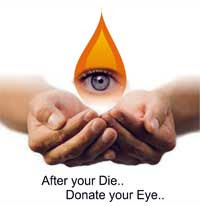 LIGHT up a life, donate your EYES. Make your eyes alive after death. 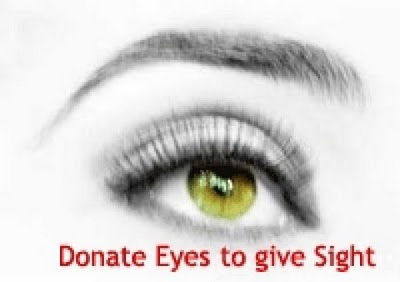 Let your eyes change someone’s life, Let’s donate eyes. Aapki aankhen duniya dekhen ,aapke saath bhi, aapke baad bhi. 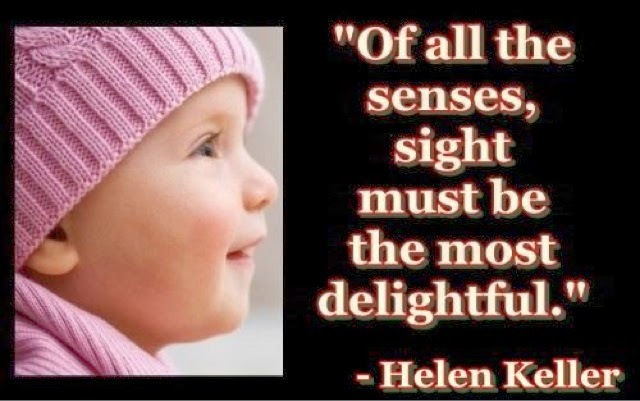 Aap ki aankhen hamesha duniya dekh sakti hai..........bas ek baat.........."YEH AANKHEN HUMKO DE DE THAKUR"
The most wonderful thing you can do is give the gift of sight. Talk with your family about becoming an organ donor. Of all the things that it is possible to donate, to donate your own body is infinitely more worthwhile. We all should give what we have decided in our hearts to give, not reluctantly or under compulsion, for God loves a cheerful giver. उजाला लाने के लिए नेत्रदान हम सबका फ़र्ज़ है. दोनों बांहे फैलाकर आओ आज प्रेम का संचार कर दो . अपनी दोनों "खुबसूरत" आंखे उनके नाम कर डालो,जो देख नही सकते. हमारी देह के प्राण विहीन होने पर यदि हमारी आँखें किसी को दृष्टि सुख दे सकती हैं, तो इससे महान कार्य क्या हो सकता है ?